we were very lucky last night to have Katie Chaplin from Japan Crafts with us. 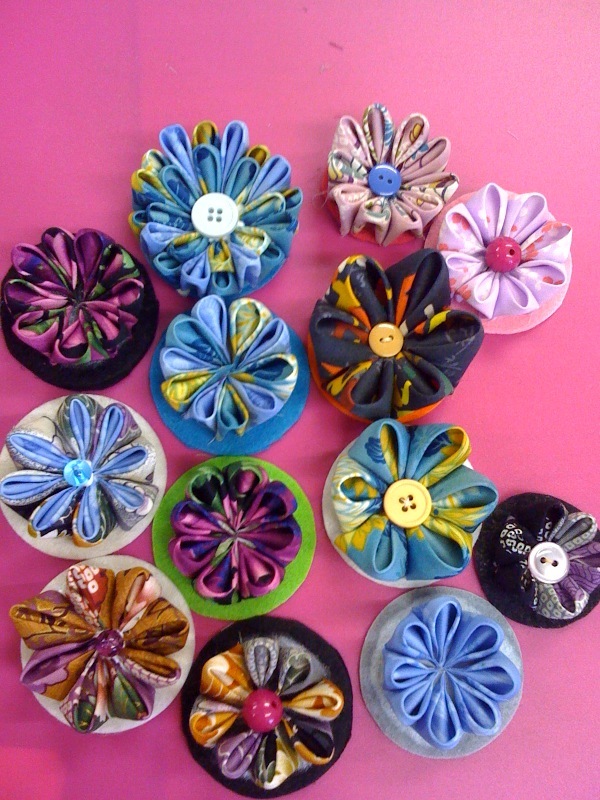 The project was making Kanzashi flowers. 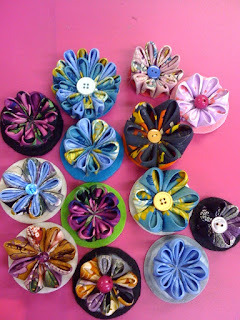 Wont they look fantastic as hair ornaments, brooches, or decorating bags! Katie is with us again June 25th doing an Origami workshop followed by a Kimono dressing. Keep an eye out for photos of my Star book (its nearly finished!) and details of class on making it!